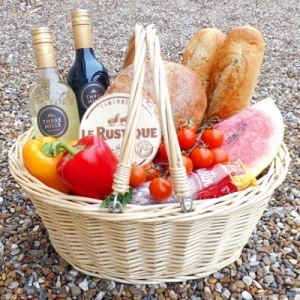 Farmhouse superior shopping basket made using 3 colours of quality wicker. Each basket has a beautiful pattern woven around the body, a plaited top edge and a strong fixed handle. Measurement are approximately 42cm x 32cm x 26cm high to top rim of basket (39cm to top of handle).